Additional tryout sessions will be held during our regular training sessions. For more information, please register for a tryout. The Soccer Rhode Island Academy was formed as a supplemental training program aimed at developing the younger players (ages 7-11) within the state, while also serving as a pathway to the ODP program. SRI Academy provides high-level training that benefits and enhances the development of players at all levels; and, through the use of carefully selected and licensed coaches, develops a mechanism for the exchange of ideas and curriculum to improve all levels of coaching. The SRI Academy is our pathway to SRI ODP. This year SRI Academy will be open to boys and girls between 2008-2011 birth years. 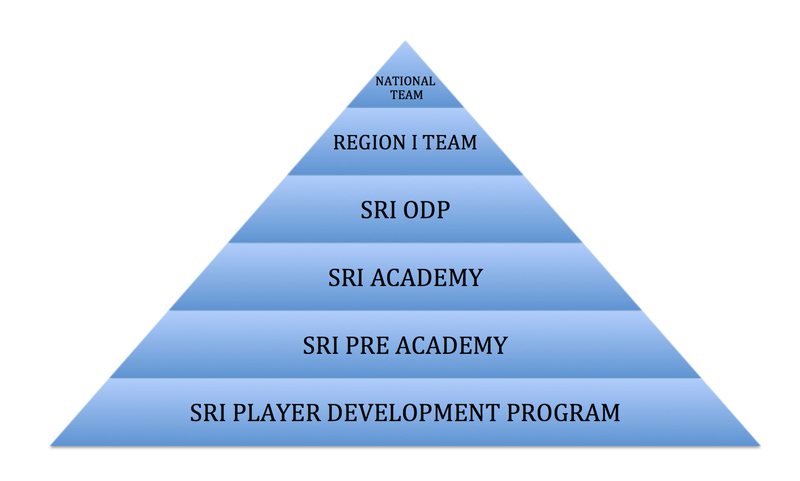 The SRI ACADEMY has two (2) tiers, Academy and Pre Academy. The staff will be selective and invitations will be limited in each tier of the program. To be eligible for one of the Academy or Pre Academy spots, players must attend at least one (1) tryout session for their birth year. SRI Player Development Program is for players that do not receive an invitation into the Academy or Pre Academy. This program is a technical training program for players to continue to develop their individual skills.